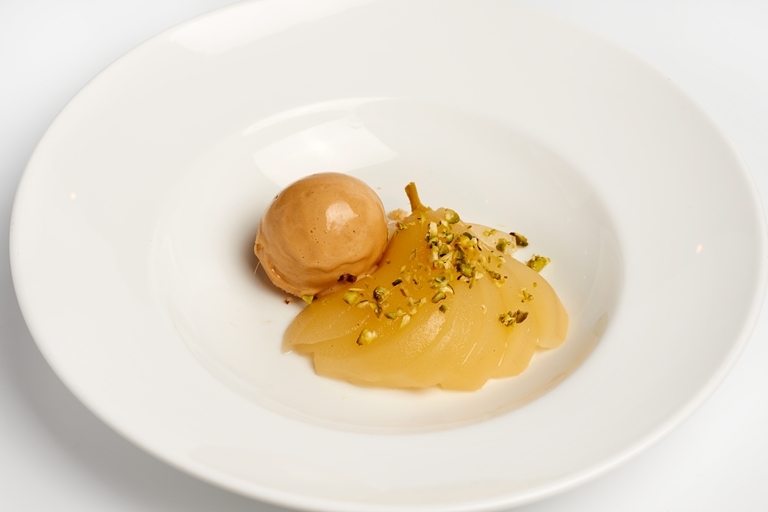 This poached pear recipe from the Galvin brothers makes the perfect autumnal dessert. Equal parts elegant and comforting, the flavour of the beautifully fanned fruit is perfectly complemented by the gently spiced pain d'épice ice cream. Pain d'épices – literally 'spiced bread' – is a lightly spiced French sweet bread, although gingerbread may work just as well if you are unable to locate any yourself.